Inspired by the hosting of the Next-Stage.World Gatherings, we will explore how the Art of Hosting is best in service for the next-stage of organizations that are growing up all over the planet. Early bird until 1 May 2019: The financial Contribution for learning participants is only 675.00 € for the 3-day event. The regular contribution will be 725.00 from May 2019 onwards! Your stay in the Open House in Obenaus is not included in the fee. Working times: Arrival on Thursday, 18 July. Welcome dinner and evening gathering at 18:00. Workshops begin at 09:30. Regular workshops end at around 17:30. Voluntary sessions are possible after that hour. We have lunches and dinners together in Obenaus. How to be and work together in an organisation, where the whole Self is engaged, the work inspired by an evolutionary purpose and the work organized directly by the people doing it?Who do we need to be to be productive in such an environment?How do we best meet in and around such organizations? What is the best contribution from Art of Hosting into the “operating systems” of next-stage organizations? *We invite stewards in the Art of Hosting or Next Stage Organizing to join the inquiry. In exchange for wisdom the participation is free for stewards. We have a limited number of places. 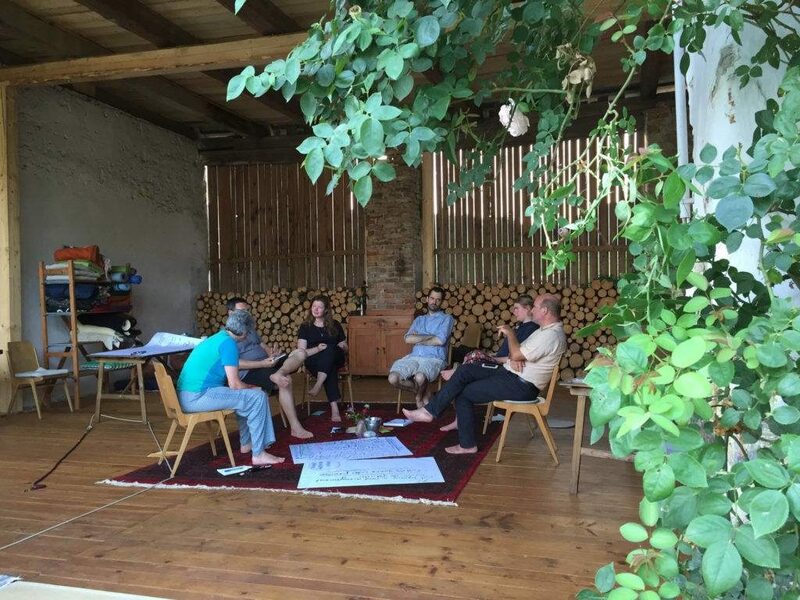 It is with great pleasure that we announce a social vegan permaculture design course at Obenaus, South Austria. The course will be for 14 days from 12th to 27th October. This includes 2 free days, which could be used for site visits or hands on activities. 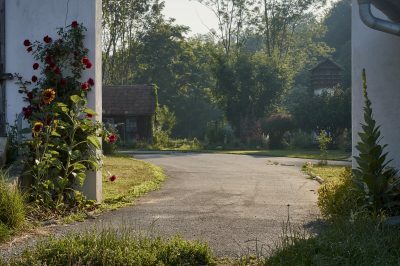 For people who have done the introduction to permaculture day, you can stay on for some of the core days (14th Water; 15th Soils or 16th Plants). Special emphasis will be put in creating a temporary community for the duration of the course. We use social permaculture tools to make sure everyone’s needs are met, so we can all enjoy living together in a joyful, supportive learning environment. WHAT IS SOCIAL AND VEGAN PERMACULTURE? 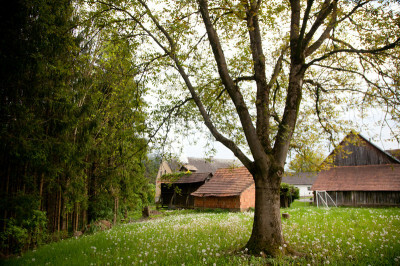 Permaculture is a design system for creating abundance in all aspects of our lives. Permaculture teaches us how to build natural homes, grow our own food, restore diminished landscapes and ecosystems, catch rainwater, build communities, take care of waste and much more. The word ‘permaculture’ historically comes from ‘permanent agriculture’ and has evolved into ‘permanent culture’. It is about living lightly on the planet, and making sure that we can live in harmony with nature while sustaining human activities for many generations to come. Permaculture is a rigorous and systematic set of tools, ecological principles and methodologies, underpinned by ethics, which help us to design and create this culture of permanence. A culture that allows us to design how we cater for all our needs, the needs of the planet and all its creatures, without exploiting or depriving other humans or creatures of their needs. The ultimate goal is to create systems that create abundance for all humans, creatures and mother Earth, without exploitation of humans, animals or Earth’s non renewable resources. With permaculture insight we can design our inner tranquillity. It can be applied to creating integrated and supportive communities, building or retrofitting houses to be more energy efficient, creating ethical businesses and livelihoods, as well as creating rich abundant low maintenance food growing spaces. This course will not cover animal husbandry. In Rakesh’s designs, animals are all welcome to come and welcome to leave, but are never tied into the system or exploited. So we will talk about creating habitat, but not about animal husbandry. The course will from day one put into practice social permaculture. We will create a community and practically explore how we ensure everyone’s needs are met, and how everyone can safely express themselves, without conflict. Having found our inner balance and balance within our newly forged community, we then move into exploring the traditional permaculture syllabus, including environmentally friendly food growing; soil generation; water management; house building; alternate economics and livelihood, etc. Having explored the theory of permaculture ethics, principles and approach to challenges, we will then move on to in-depth design work and practicals (hands-on work), which solidifies the theory. The emphasis remains on learning the patterns and concepts that are applied in permaculture, so you can apply this to all aspects of your life after the course has finished. Hence the practicals will be a way to reinforce the theory and design work that we cover. 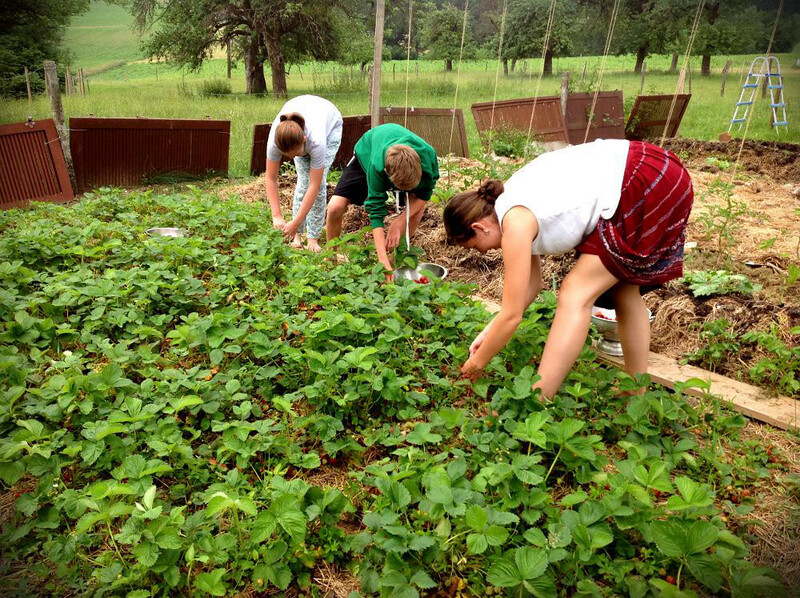 Where and when appropriate we will visit nearby intentional communities and projects that integrate permaculture in their design (subject to consent by the students). Rakesh Rootsman Rak – An experienced Permacultre designer teacher, forest garden specialist, yoga teacher, homeopath and reggae DJ. Rakesh has been designing and teaching permaculture to individuals and communities since 2009, and has taught over 200 permaculture, forest gardening, eco village design and related courses. His design portfolio ranges from large scale forest gardens in eco villages through to many urban community food growing gardens, private farms and back gardens as well as designing collaborative businesses, urban water retention systems and even computer software and documentation systems. Rakesh is also passionate about building communities, and the social side of permaculture, hence using sociocracy, dragon dreaming and other great tools and processes to create strong social bonds with clear ideas of how to creatively meet your needs in a project or community. He is also passionate about sharing his journey of self empowerment (learning how to make all the things you need for yourself rather than relying on the system to provide for you), this includes eco architecture (low impact housing); capturing and storing energy (electricity, heat, lighting, etc); fuel efficient heating systems (rocket heaters and stoves); water capture, purification and recycling systems, natural bee keeping and so on. Sven Latzel – Freelancing as an organisational and IT consultant and expert in Sociocracy. Since 2005 he has been actively working to make the world of work more effective, more mindful and more human. First of all with IT, and in recent years with a clear focus on humans and on the processes which connect them. Catherine Falardeau Marcoux – A permaculture designer and practitioner, Catherine specializes in ecosystem restoration, cartography, flora and fauna conservation, and geomorphology. She spent one year living and working at Obenaus, introducing permaculture aspects onto the farm as well as co-creating a map and basic design for the community. Cisco Armstrong – Fascinated by nature’s inherent capacity to facilitate learning, Cisco specializes in what could be called social permaculture. He also spent one year living and working at Obenaus, introducing permaculture aspects onto the farm as well as co-creating a map and basic design for the community. The training takes place at the Obenaus Community in southern Austria, near the border with Slovenia. 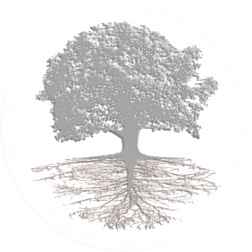 The Obenaus Community is a repository of Social permaculture practice, using Circle and Art of Hosting as operating system for its key conversations, from daily check-ins to major community decisions. To create a deeper sense of community, throughout the course we will create teams who will help cook every day. We will create a system which allows us to express what our dietary needs are, so that we ensure every meal is ideal for everyone. 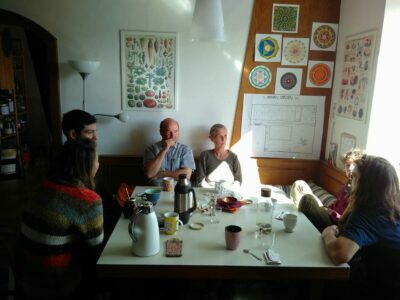 Initially we request the food is vegan, but we will then decide on what is best for the community using the collaborative decision making processes from Sociocracy. 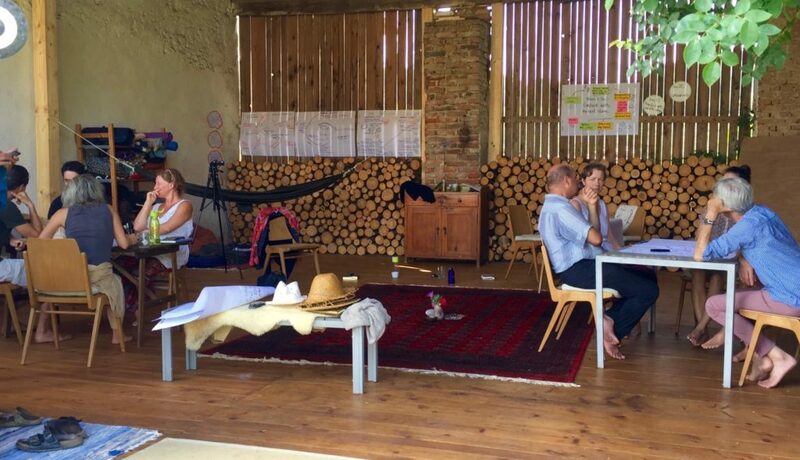 The cost for the training is based on a hybrid gift economy, where participants are invited to contribute what they can afford and are willing to pay. To cover the ideal training costs we need to raise on average €820 per person. However we invite you to propose how much you would like to contribute (ideally between €420 and €1020, but you can also offer less if you write to us to explain your situation). We encourage those of you who can contribute more to do so, which should allow us to cover our costs comfortably. If there is a shortfall in the final sum (which by experience is unlikely), we will request the shortfall to be covered anonymously via a magic hat process. This process is part of the permaculture ethos, which allows people to pay according to their capacity, while meeting the needs of the hosts, teachers, etc. To make the most of the PDC and increase the exchange in-between participants, we invite people to stay on site for the nights as well. We have a mix of sleeping spaces at venue, including beds indoors and camping spots outside. camper vans, or sleeping in your own car is also possible. 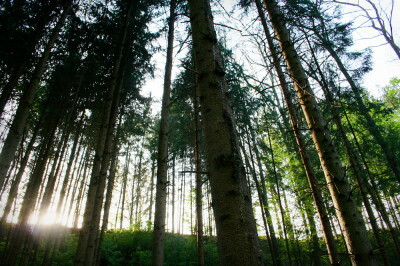 – €10 per night for camping incl. water, warm showers, WLAN, use of all facilities. So count with €140 to €160 depending on if you stay over the days off. To ensure we keep the food costs and quality at a level the students require, we are adopting the tried and tested self organising method. This means we will ask you to either bring enough food ingredients to cover your food needs for the duration of the course or bring a mix of food and cash. The food could include home grown veg, grains, preserves, etc. The cash will go into a pot which will be used to buy food as and when required, which will be managed by an elected group of participants. The hosts have a very good network of local producers and food cooperatives so are suggesting if people contribute €30 each by the start of the course, they will buy enough local/organic food for 4 or more days. This method has proven to be very successful, as it promotes collaborative decision making and collaborative working. It also allows people to contribute in a way that suits their budget. Participants from previous courses have taken well to this method and noted how the food budget was significantly less that what they would have expected on any other course. At Obenaus from 10 -15 August 2018. This is not only a training. It is a conscious space to expand our inner hosting – by un-learning as much as learning, and growing the ‘art part’ of the Art of Hosting and Harvesting Conversations That Matter. More about this and registrations here. Personal and collective intentions in service of evolution. Learn to learn like Socrates. Reflect upon your actions and prepare new actions. In just two days you learn how you set up Action Learning Circles, to lead and and guide them. Acton Learning is probably the most effective and among the fastest methods to deal with wicked or unsolvable issues and problems in small groups. And it’s funny, too. Rainer von Leoprechting practiced and instructed Action Learning with managers of companies, EU officials in Brussels, scientists and engineers, worked with board members, management teams, project leaders, politicians or young people. Join his joyful work with any and every one. Be inspired to create new solutions by asking ever more questions. Your financial contribution incl. meal, snacks and drinks: 450 EUR for both days. Morning session 09:00 till 12:30, afternoon session 14:00 till 17:00. If you can’t come to Obenaus this time, you can train and practice online, too! The Open House in Obenaus is a space and a place to meet people, exchange knowledge, learn new things, be inspired and playful. 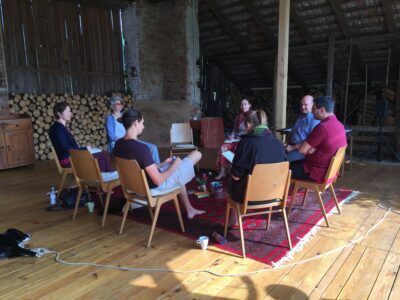 26-29 July 2019: Systemic constellation community workshop, training and gathering. At Obenaus the seasons are strongly felt. The interim time before and after winter is time to recess. Clear out body and mind. What has this year brought about? What stays? Who am I now? What is “us” now? The inner clearing is supported by lightening up from inside. We will fast again during 7 days this spring. Every morning and evening we practice Circle and share what’s going on with us. What is shifting? What is coming up new and familiar? Inner and outer sights. You can read our journal from the Spring Fasting 2017 in the Obenaus group on FB. This Spring we fast from 25 February until 3 March 2018. You can fast with us! Come here: Write us an email or call and tell us you’re coming. We’ll arrange a guest room here or in the direct neighborhood. Your contribution for staying here (at the farm) and fasting 7 days with us is 350,00 € all included. Online: Join the circles online, and for your fast at home we’ll send you the Fasting Kit with some Obenaus Herbal Tea and seed nutrition in advance. This together with a clear vegetable broth is our diet for cleansing and detoxing mind, body and soul. December, the darkest month of the year in the northern hemisphere. Winter solstice. A time to go within, to reflect, to dream. I personally appreciate the simple things that shorter and colder days offer – time to sleep, to rest, time to slow down and not be so active, time to be in relationship with others. We learn from the natural world that this hibernation period is not only normal, it is necessary. And yet December at Obenaus, while slowed down almost into a slumber, was surprisingly full. Here is some of what happened with us during the final month of 2016. By the beginning of the month, seven composts had come into being or were under construction following the advice of Bernard, a local biodynamic composter, farmer, tree communicator, cosmic connector. The composting followed specific layering of ingredients to hold oxygen, moisture, and a comfortable environment for the millions of microorganisms destined to call the compost home. Yet more on the compost later. On December 1st, Lena departed for Finland to support the Suomenlinna Art of Hosting training and then continued onwards to Gotland for a few weeks of being with family and friends. With Lena off in Scandinavia, Vihra, Viola, Cath and myself headed off to the Maribor (Slovenia) market to pick up goods for the community. Beyond sourcing veggies from our favourite vendor (and buying out her homemade white wine) as well as buying excellent Slovene mushrooms, sauerkraut, red wine, and many kilos of apples, we also discovered a magical box and a glorious vest, or as I have come to call it, a wood chopping tuxedo. A few days later came a surprise visit from none other than the potato master himself, Damon, to share with us his newest invention: the chip (potato) strudel with vegan gravy! We had a feast to say the least, and even kept some leftovers for Rainer to enjoy upon his return from Germany. You know you live in a caring community when you come home to chip strudel. Before leaving for holidays, Vihra and Viola participated in the Weihnachtsmarkt (Christmas market) in Michaelihof where they were offering Obenaus creams, shampoos, teas, and mistletoe. In return they came home happy and with stories of sunny winter weather, beautiful yurts, many animals, lots of community connecting, and Malou making friends. Of course before master baker Viola was to leave, there was a sourdough bread baking training. Her determined and dedicated apprentices, Cath and Vihra, are now well versed in the art of baking really good bread which we get to enjoy daily. What a gift it is to have so many bakers around! And so with the bread baking under control, Viola (with Malou) and Vihra went in their respective directions for some family time – Viola and Malou north to Germany and Vihra south to Romania and then Bulgaria. As quickly as the community shrank by three, as is often the case in Obenaus, it grew by three. 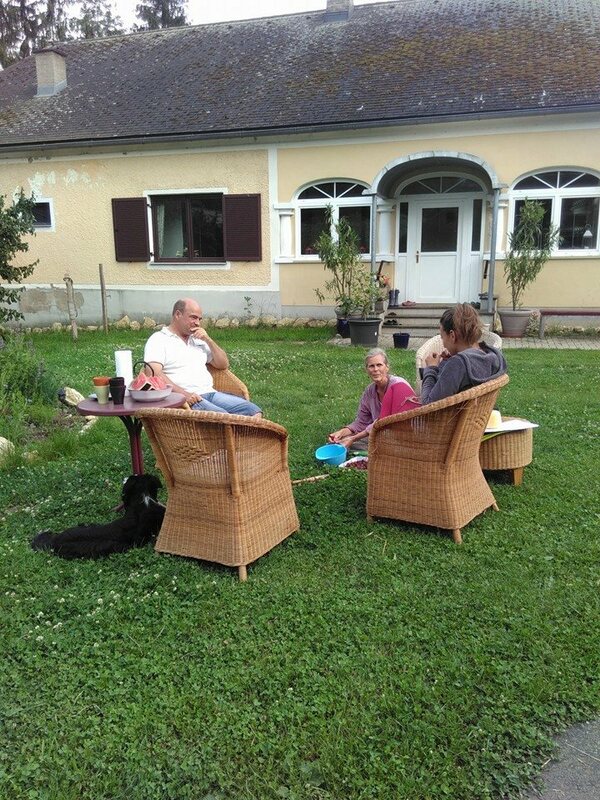 Two days after saying goodbye to Viola, Vihra and Malou, Lena was back at Obenaus as well as a couple of new friends, Leina and Tom. With the sudden addition to the community came new learning and exploration. 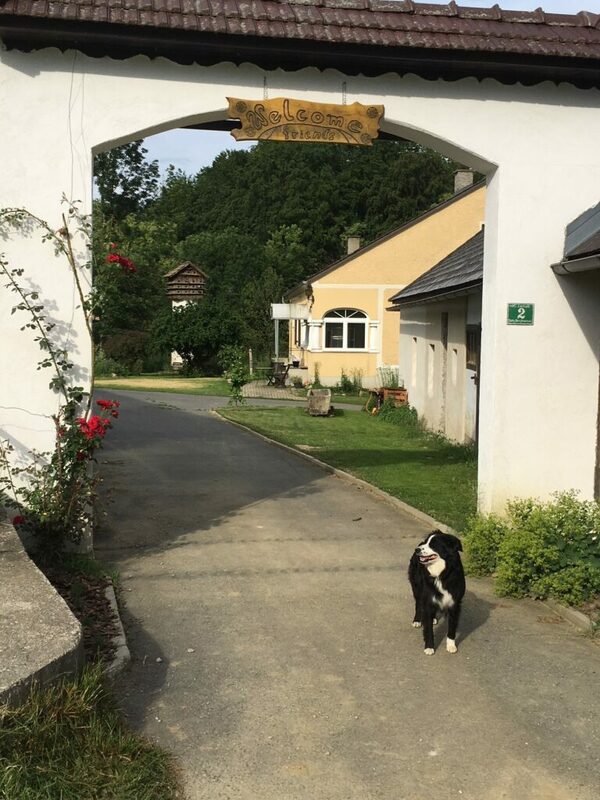 First, Bernard, the biodynamic composter, came to Obenaus with his mate Elizabeth to treat our composts with a very special potion and to share some of his knowledge and wisdom. The composts have since been renamed the cosmic composts. Second, Tom brought with him his gift of hypnotherapy. Both explorations of the subtle energies. With Malou gone on her first long road trip, the cats quickly turned into tigers as they roamed Obenaus ready to pounce on anything resembling food. It became quite difficult to walk from one point to another without almost stepping on a cat. Yet the sheep actually mellowed out and managed to relax a little, enjoying eating in their stable without the threat of an all-too-happy-to-play shepherd dog. Then came winter solstice and the beginning of Rauhnächte. For the 21st of December, Gitta, a friend and neighbour of Obenaus, invited the community for a winter solstice bonfire. On the clear, cool, long and dark night we gathered around the warmth of the fire, enjoying mulled wine, snacks, and conversation with friends. Also beginning on the 21st of December and going for 12 nights, Rauhnächte at Obenaus is a time to retreat into ourselves and sense into our dreams of what is to come. Through small personal ceremony and in dream, we are able to connect with the new year that wants to be born. After the solstice, Christmas came fast and was spent with a lot of time outside. There were many visits to and from Obenaus, including a Christmas tour to greet friends in the local community. Shortly after for the third time in less than two years, a young woman turned 30 at Obenaus. We celebrated Cath’s birthday with a long walk in the nearby forests and a gong puja, a night spent listening to the sound of gongs and healing through intentional vibrations. New Years Eve, the end of one year and the beginning of anew. From our different places, Obenaus community watched as fireworks and flairs shot up into the dark night sky. Whatever 2017 is to bring, we are excited and looking forward to all that is to come. Hopefully you too will come visit us! Happy 2017 from the Obenaus Community! Memories of a beautiful summer: A short clip from the Youth Camp 2014, where a capsule was built together (time lapse). Caroline will spend two weeks in and around the Obenaus barn – go and find her and learn and share your inner creative landscape – paint from your heart without a result in mind, let go of preconceived motives and methods and give your creativity free flow using a brush, your hands, a spate or whatever is suitable in the moment. This you can of course also do with your kids and/or your partner – you can work in the barn/stable or outside – find your place. Your contribution: 20 euro material per day and person and a donation to Caroline for holding space and sharing her wisdom about painting freely from the heart. 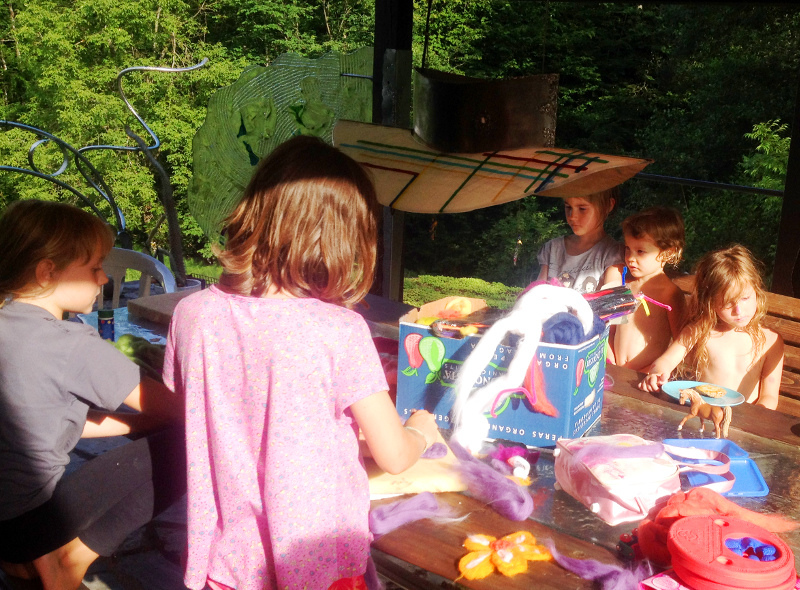 Have fun and create with your kids or leave your kids in the creative arts workshop of Karin and Nico (15 km from Obenaus) while you have a day in an Obenaus workshop or on a walk or in the Spa or simply take some time out. Your kids will have fun with other kids, be safe in nature under the guidance of Karin, one of Austria’s leading free learning pedagogue. 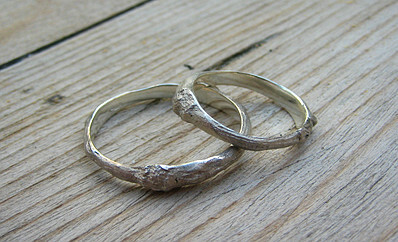 For more information have a look at their website www.siakkos.com. Karin, Nico and their 4 kids (11-1) speak English, German, Greek and a little bit of French. The budget for the workshop is around 30 euro with reduction for siblings. De-stress and get an energy boost during your stay at Obenaus. An excellent way to ground yourself is to work with the ground. Use your hands to do some gardening work and support the plants in their development. This sometimes means taking out other plants that are in the way and creating space and allowing light to come in. It also means harvesting and preparing different things with what you have collected. It is also about creating beauty for Obenaus and those here on the land. Be welcome to co-create with us! These are just a few examples of what can happen here, much more is possible. We celebrate our wedding this summer, 13 August, in Obenaus. Come and join us for a ceremony in nature. The ceremony begins at 16:00 at the gate of Obenaus. For the rest be open to be surprised, if you would like to surprise please contact Felix, our master of ceremony, felix.moser@yahoo.de. Obenaus is open for you the whole month of August. We invite you to be and practice together, learn, develop, exchange, have conversations that matters, play and work together, held by the life at the farm. Herzlich willkommen im Hof Obenaus! 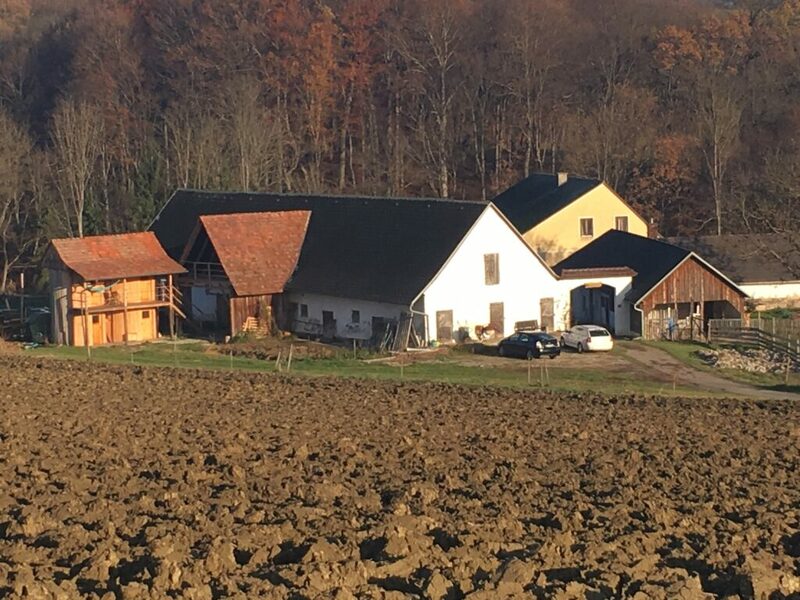 … und laden Sie ein in Gemeinschaft zu sein, sich auszutauschen, zu lernen in Gesprächen um das, was wichtig ist, Entwickeln, Spielen und Arbeiten unterstützt vom Leben auf dem Hof. connect with other young people from diverse backgrounds and most importantly have FUN! ein Ort für junge Leute zum Forschen, Spielen, sich inspirieren lassen und selbst kennen zu lernen, sich mit anderen jungen Menschen aus unterschiedlichsten Hintergründen auszutauschen und vor allem: SPASS zu haben!